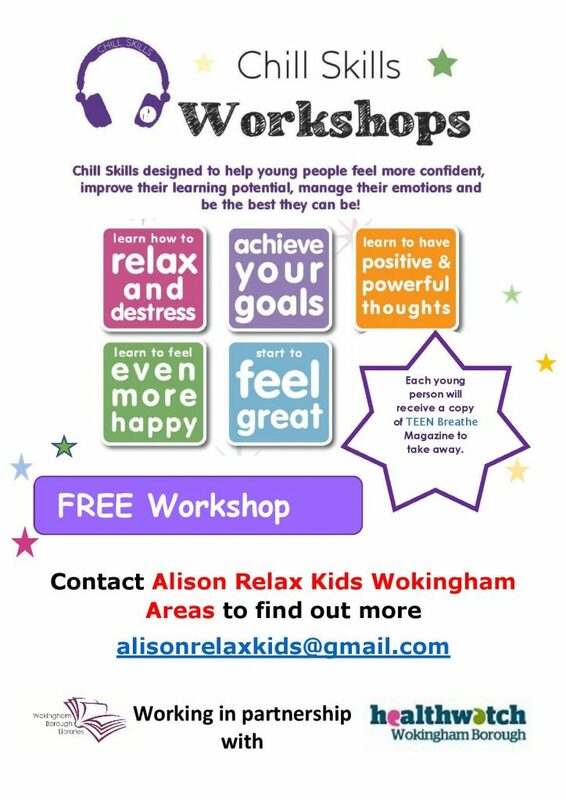 Chill Skills Workshops aimed at young people are being provided throughout libraries across Wokingham Borough, see below for more information. Alongside these workshops, Reading Well, a collection of 35 books which have all been chosen by young people and health experts, can be borrowed from our libraries. They contain information and advice as well as personal stories about dealing with feelings such as anxiety, depression or stress, or experiences such as bullying. Visit the Reading Agency website for more details.